Thirteen Bari Indians of the Sierra de Perijá mountains in western Venezuela attended an historic hearing at the Supreme Court in Caracas last week, to defend their right to own their ancestral land. 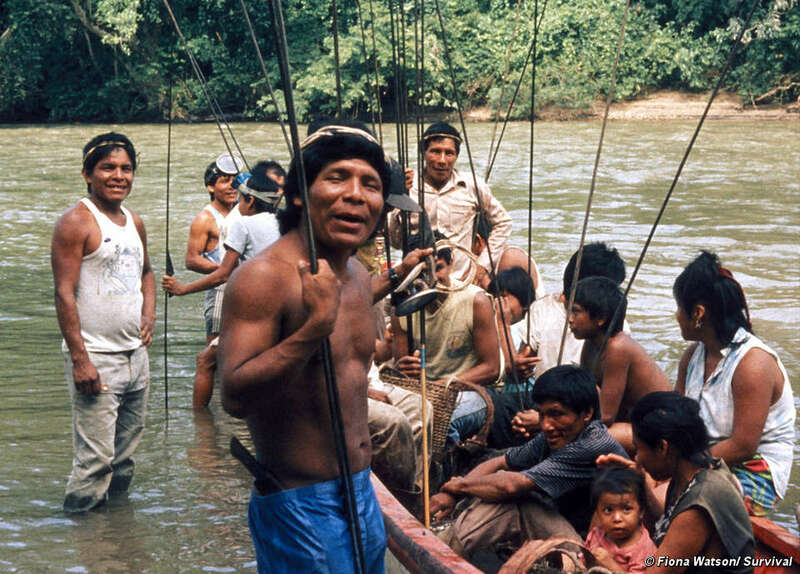 Venezuelan law guarantees indigenous peoples the right to own their land and the Constitution stipulates that all indigenous land must be demarcated by 2001. However, the Bari are still waiting for their land title to be granted. It was the first time that the Bari have been allowed to speak at such a hearing, despite having pushed the courts to listen to them for the past ten years. At last week’s hearing, a Bari leader said, ‘Sabaseba, our god, ordered us to look after our mountains. The land of Venezuela is Sabaseba’s home. The Court must protect it, as well as our human rights’. The verdict of the hearing is yet to be delivered. 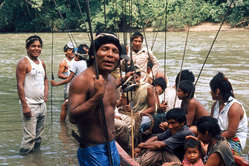 The Bari Indigenous Reserve, where most of the Bari live, is now being invaded by miners, loggers and drug traffickers. The lives and livelihoods of the Bari are threatened as these outsiders are bringing diseases such as tuberculosis to the area, as well as destroying the forest and polluting the rivers, which threatens the fish and animals upon which the Bari rely for their survival. They also incite violence, and attack and harass the Bari, often linking them to the drugs trade. One Bari man has been detained in prison for five months after he and two other Bari were arrested by the National Guard, taken across the border to Colombia, tortured and made to pose as drug-dealers for photographs. The Bari man does not have proper access to lawyers or to an interpreter, which is in violation of the Venezuelan constitution. It is reported that his health is in a fragile state. Speaking about the arrested man, one Bari leader said, ‘He is innocent. The whole community is witness to that. You are draining us of our blood and our life’. Survival has raised the issue with the Venezuelan government and asked for his immediate release, as the authorities have not provided any credible evidence to justify his arrest and detention.